MT. 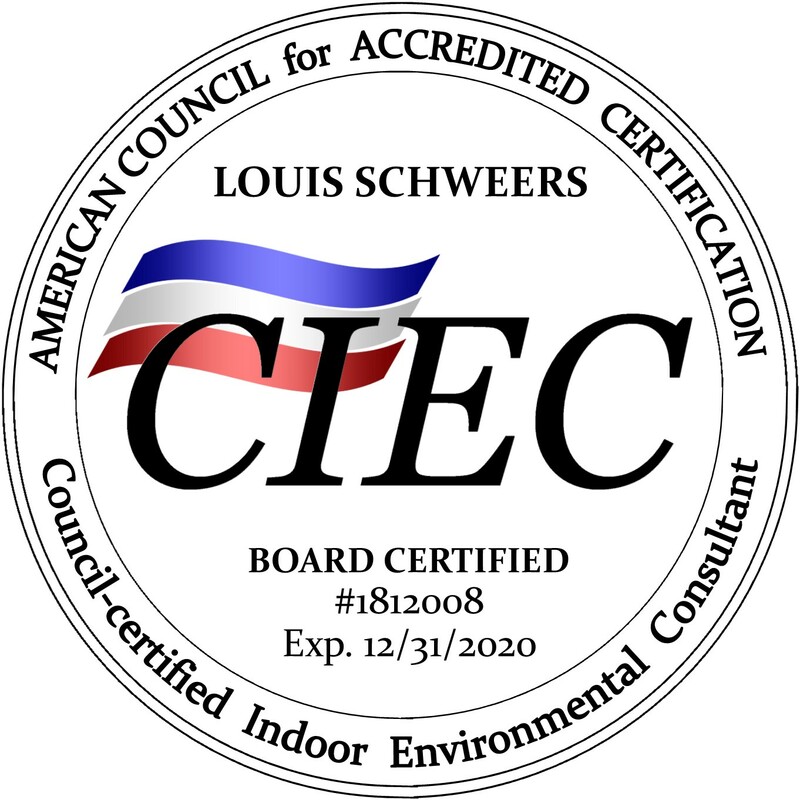 PLEASANT, S.C. - Dec. 20, 2018 - Louis Schweers has been awarded the Council-certified Indoor Environmental Consultant (CIEC) designation by the American Council for Accredited Certification (ACAC). This prestigious, board-awarded certification recognizes Schweers' knowledge and field experience in indoor environmental investigation and consulting. To earn the CIEC designation, Louis passed a rigorous examination based on respected industry texts. He then submitted documented, verifiable field experience to a board of peers, earning a unanimous vote of approval. To maintain the CIEC designation, Louis will remain active in the field and complete 40 hours of professional development activities within the next two years. Louis is now listed in the ACAC certificant database along with more than 3,000 ACAC certificants around the world. The database can be searched by name, company or zip code and represents a continuously updated roster of experienced indoor environmental professionals. If you are looking for a Charleston Mold Testing experts, then please call us at 843-881-4803 or complete our online request form.